Low & slow deep south american style in a casual fun dining with a party atmosphere. 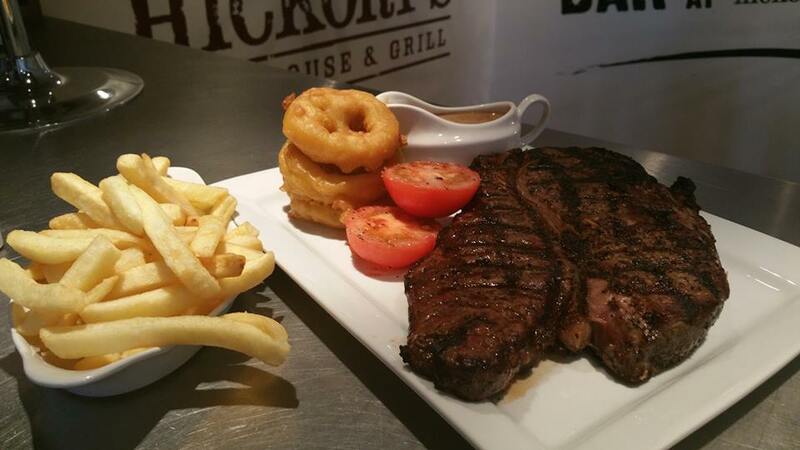 Our family friendly surroundings provide perfect place to meet friends, celebrate those special occasions or just settle in for some comfort food in a welcoming environment & aroma from our smokers will be hard to resist. Our freshly smoked rack of ribs, pulled pork & beef brisket will be bursting with flavour, cooked low & slow in our smoker for 14 hours & finished with our homemade sauces. 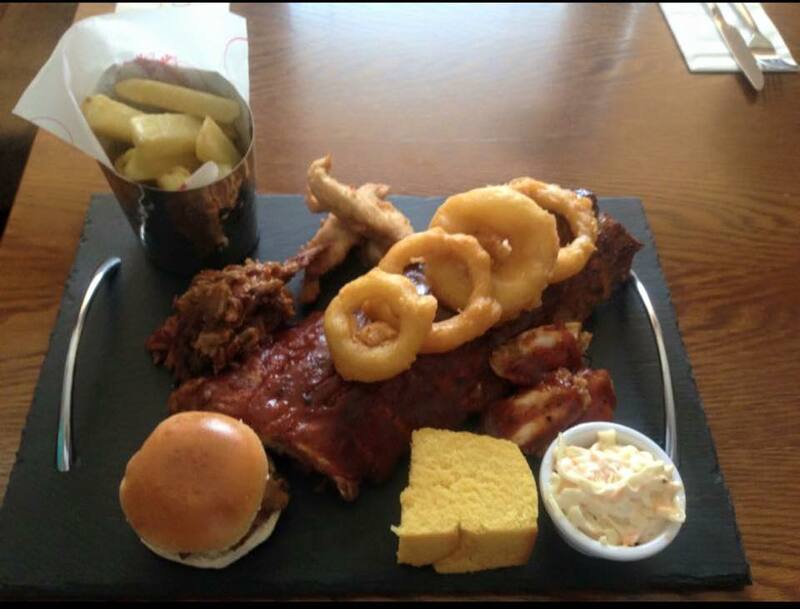 Come and enjoy our mouth watering tastes of American BBQ. 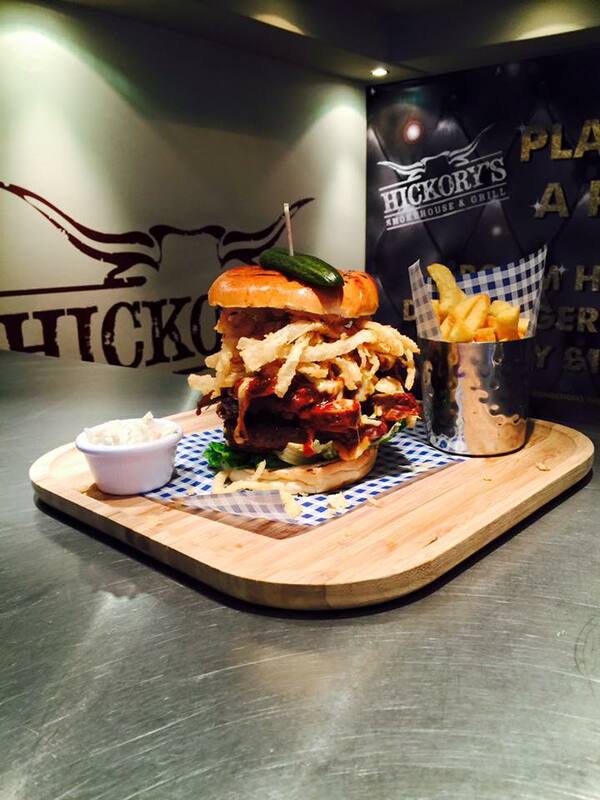 Knifes and forks are always optional at HICKORYS accompanied with by our classic shakes and cocktails. Lovely meal. Early bird was good value and waitress was very friendly and helpful. Will be back. We had a lunch here off their offer of 2 courses for £13.99, I think it was. The portion sizes were good and we all enjoyed the food. Being a lunchtime it was quiet, but there was music playing that was pleasant. 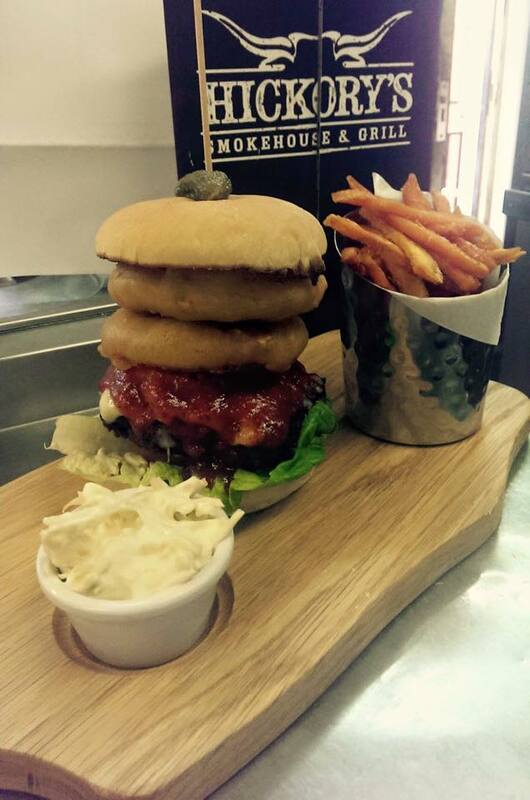 Good burgers and reasonable prices. Would return again. 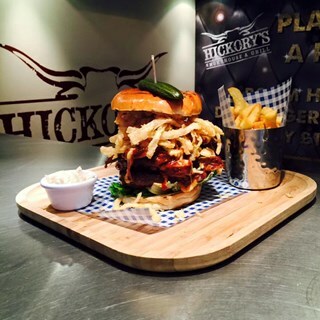 Recently had a lovely evening at Hickorys. Staff very friendly, helpful and patient (we were a party of 9 ladies!!). Nice atmosphere. Would definitely come again! Food amazing as always, super big portions, service friendly and attentive, and the cocktails are fabulous! Very good portions at a reasonable price. My husband had a t bone steak was very tough he sent it back! He did get another meal but no apologies and staff quite huffy,won't be back. Food was tasty, chips little hard but quickly changed them. Little slow to take our order, but food was fast and tasty. Large party of us and the food was all delivered together. Very tasty good value for money. Staff friendly. Would definitely recommend to any friends.